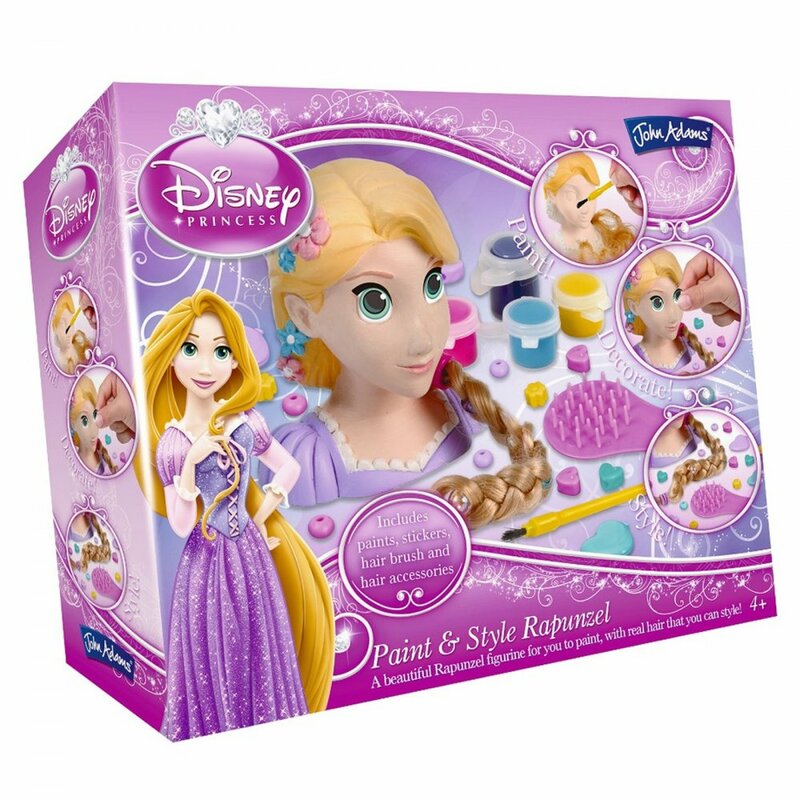 Paint, decorate and style this ceramic Rapunzel figurine, with paint, stickers, beads and more! First colour your princess figure using the paints & brush supplied. Use stickers to add details, then put your styling skills to work on Rapunzel’s long blonde hair! Colourful beads, clips and a brush are included for you to create lots of different looks. Contents: 1 x Ceramic Rapunzel figurine with hair extension, 1 x paints and paint brush, 1 x stickers, 1 x assorted hair clips, 1 x beads and 1 x hair brush.